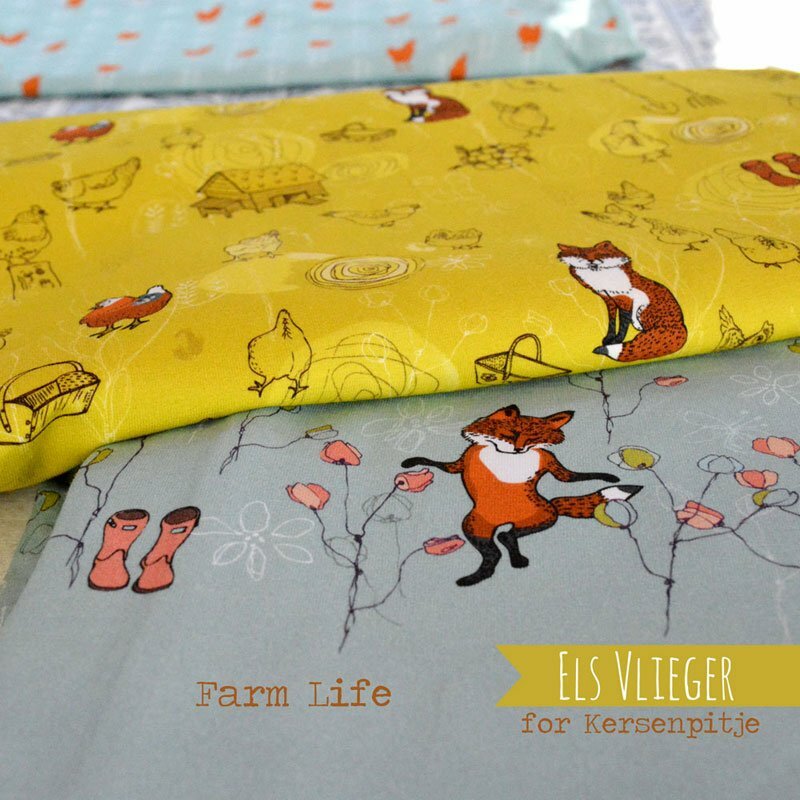 A little while ago I designed a new collection for Kersenpitje. 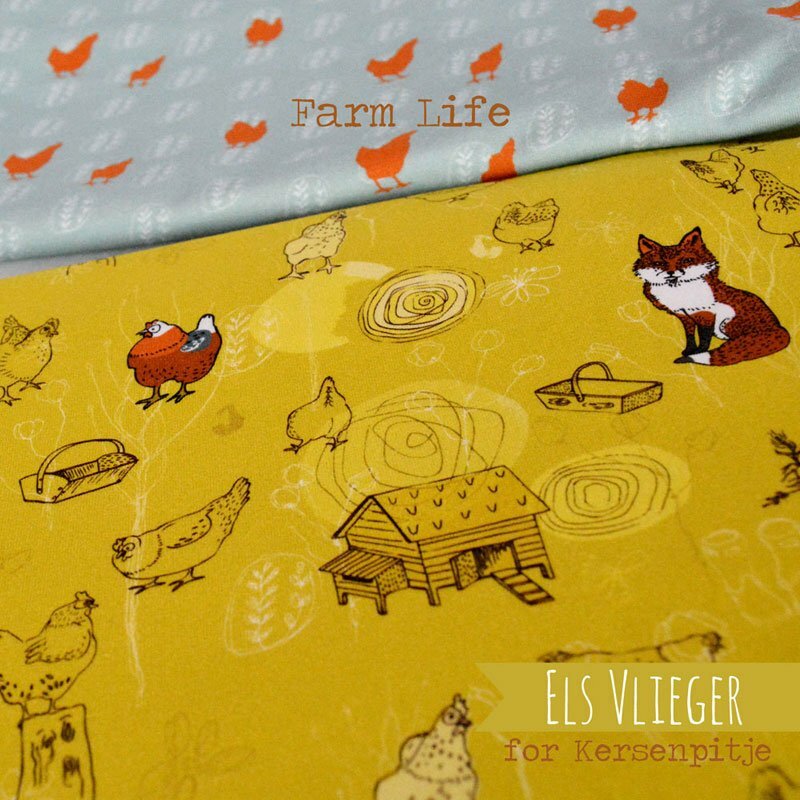 It’s called Farm Life and chickens and foxes are the main theme. It has three different variations. 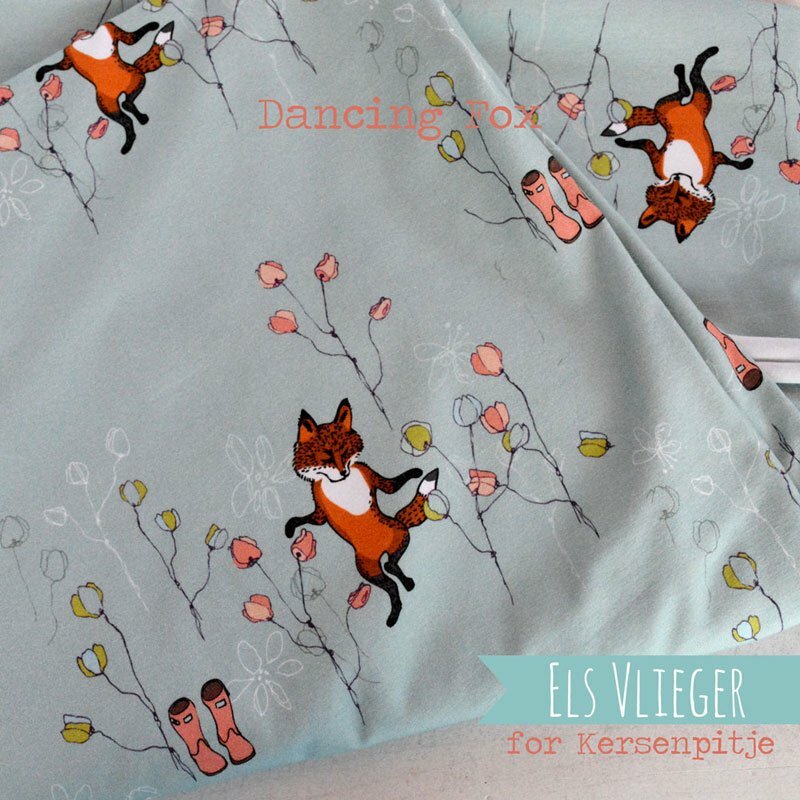 One is called the Dancing Fox, my favorite. 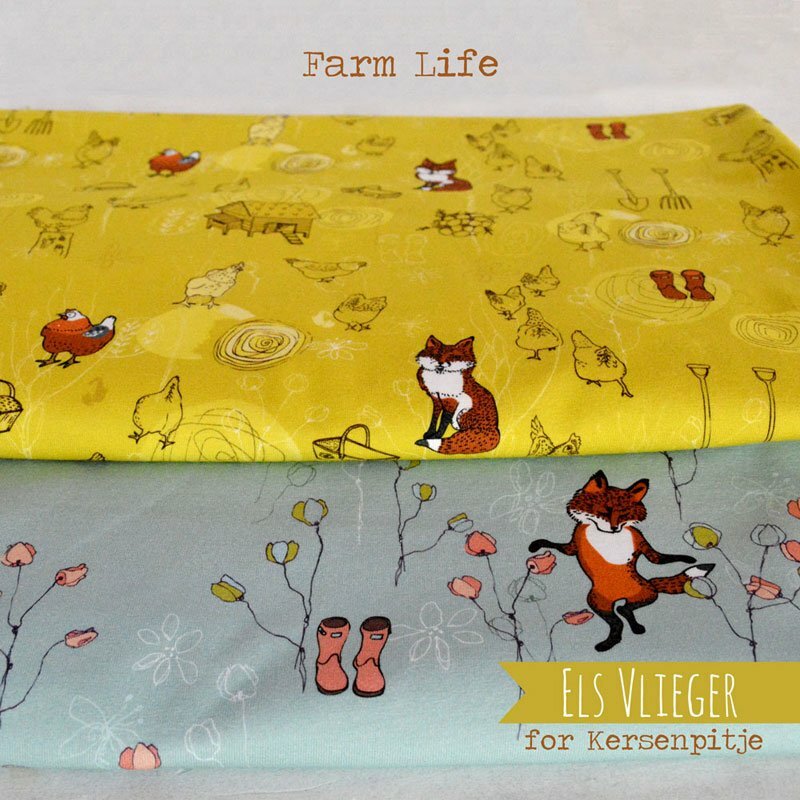 There is yellow and brown the Fox and the Hens. 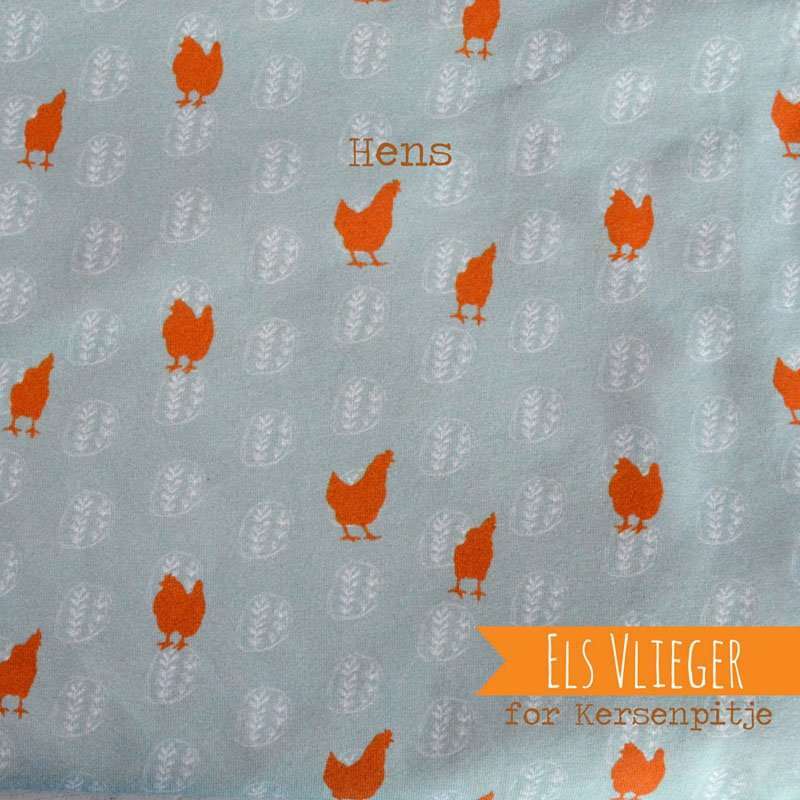 And the third one is called Hens, a simple corresponding pattern with little orange chickens. This time the fabrics are all in jersey. The colors are really vibrant and turned out great. Go check it out!